Nearly one year after quitting Twitter, Kanye West made a grand return to the social media platform on Friday, April 13. And he’s showing his sentimental side. Former NBA player Odom, 38, was hospitalized in October 2015 after he was found unconscious in a Nevada brothel. 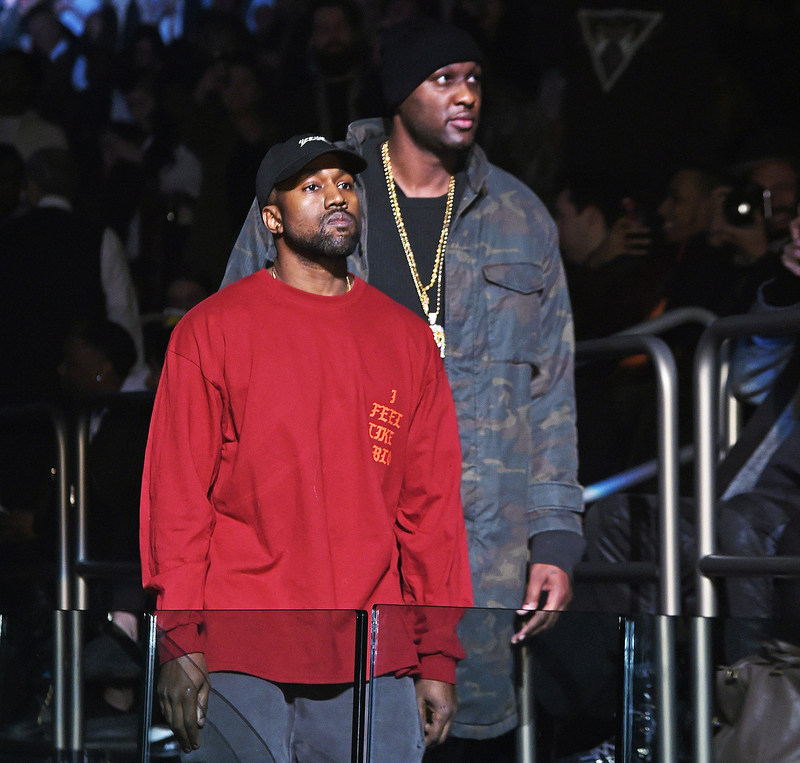 He made his first public appearance alongside West at his February 2016 Yeezy Season fashion show release party in New York. West’s sister-in-law Khloé married Odom in 2009 and filed for divorce in 2013. The Odom memory comes at an interesting time. Khloé welcomed her first child, a daughter with Tristan Thompson on April 12. But the happy news has been overshadowed by allegations that the Cleveland Cavaliers player, 27, cheated on her with multiple women throughout her pregnancy. While there was no mention of daughters, North, 4, or Chicago, three months, West debuted two neck tattoo designs dedicated to his 2-year-old son, Saint West. He is inked with North’s birthday on his wrist, so it’s only a matter of time until little Chicago gets her tribute. West has more than three million followers, but only follows one person back: Kim!